My name is Susan Eppley Landrith, and my great grandmother, Augusta Remer, immigrated from Stolp, Pommern sometime between 1879 and 1880. She possibly made the voyage with her sister, Caroline Remer (married Kautz) and family. They traveled to New York City and then on to Johnstown, Pennsylvania. The Remer/Roemer family was in the Kreise of Stolp and Schlawe from the 1700s onward. However, I have not been able to trace where they originated. They settled and lived in the towns of Peest, Gatz, Symbow, and Vessin. I started doing family history about 40 years ago, before the advent of the internet, and I am glad to be able to finally share this information with others. Researching this family has been difficult because of where the records are located. The story of the Remer family begins, like so many others, with only a few facts that grow into a larger tale. It appears that the following is based on a letter written to Mary Leibold Kimmel concerning genealogy research done for her in Germany, in the 1950s. Hans Römer was a soldier. There are no dates available for him, nor is there a known spouse. However, it is known that he had a son, Friedrich. Friedrich Christian Römer was born on March 25, 1768 in Peest, Schlawe, Pommern. In his lifetime, he was known to be a musketeer. He also married Dorothea Charlotte Domroese, fathering Wilhelm Johann Römer on January 7, 1804, also in Peest. Friedrich Christian died only a few years later on February 10, 1810 in Peest. His son, Wilhelm, an overseer or a tutor, married Anna Christine Zahmel, the daughter of Christian Zahmel. 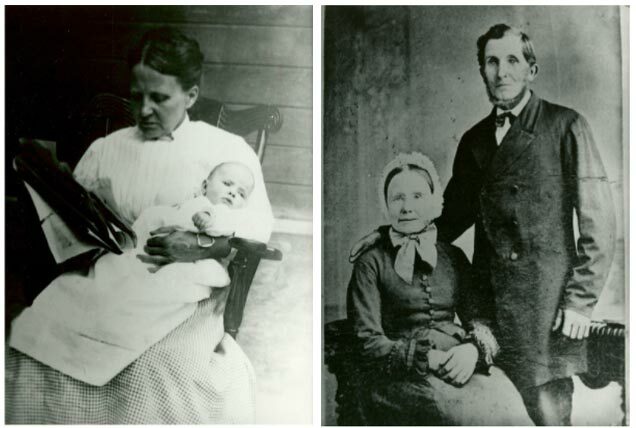 To this couple, a son was born on November 8, 1829 in Peest. He was given the name Karl Ferdinand, and he grew up to be a sheep farmer. Both of his parents died in the same year, only a few months apart. Wilhelm died on March 26, 1879 in Schlönwitz. His wife, Anna, died on May 26 at the age of 72. His son, Karl, married Marie Justine Wegener. She was born on April 2, 1827 in Vessin, though her parents are unknown. It would be at this point in the family’s history that the name changed from its original spelling and took on several variations including Remer and Roemer. The couple would bear several children in their lifetime. Karl would die on December 9, 1903 in Symbow. His wife preceded him in death on November 29, 1896 in Gatz, Stolp. Carl August was born August 26, 1854, in Gatz. He was a tailor and married Bertha Henriette Amalie Pantel. He died on November 6, 1925 in Symbow. 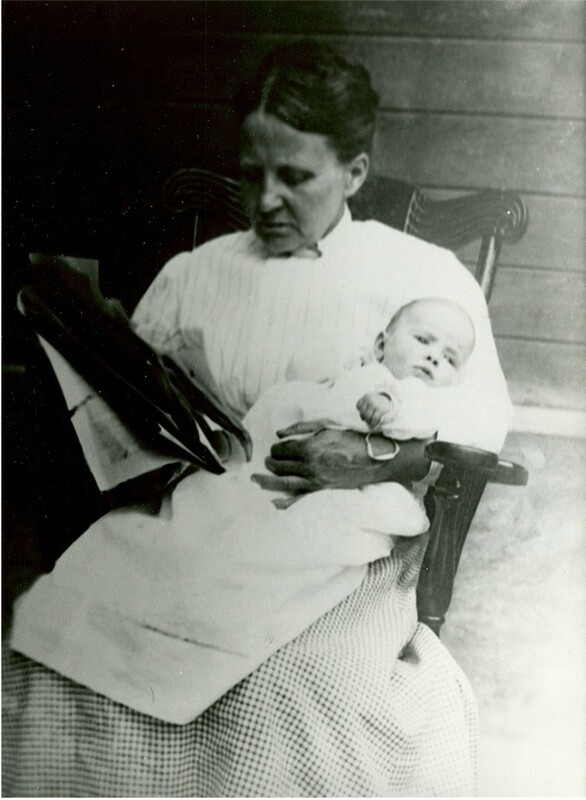 Augusta Remer (my maternal great-grandmother) was born on February 28, 1864. She died on January 28, 1916. Caroline, married 1870 to August Kautz. A sister, possibly named Therese. Two brothers, names unknown at this time. Marie Justine Wegner’s sister “S” (name unknown at this time) married “E” Bartz/Bortz (from an email copy of the death certificate for Wilhelmina Selno/Sellnow) and had at least one child: Wilhelmina Dorothea (b. 1855 Pommern; d. 1908 Johnstown, Pennsylvania), who immigrated to the United States, specifically to Johnstown, Cambria County, Pennsylvania and married William Sellnow (who was also from the Stolp area, having immigrated at a different time). 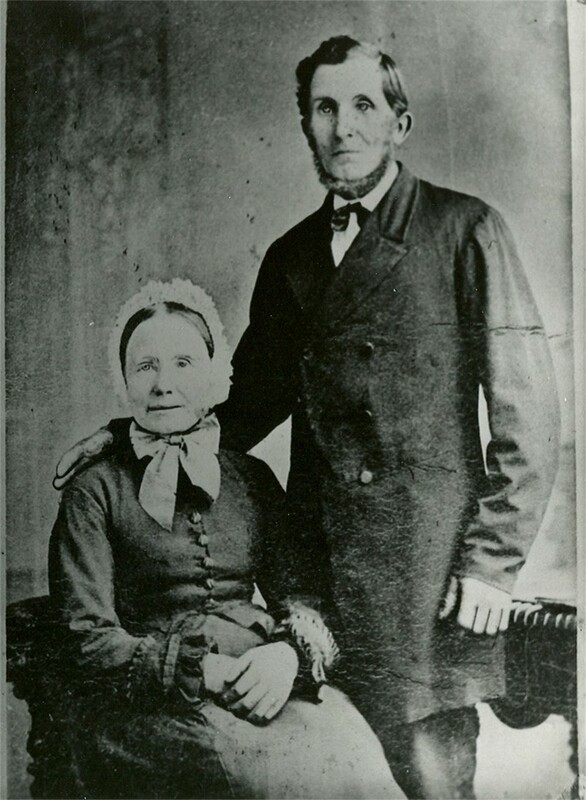 Their child, Bertha, married Ludwig Eck. They had a child, Bertha Caroline Christina Eck, who was cousin of Lilly Leibold Schneider–the daughter of Augusta Remer and Christian Leibold. 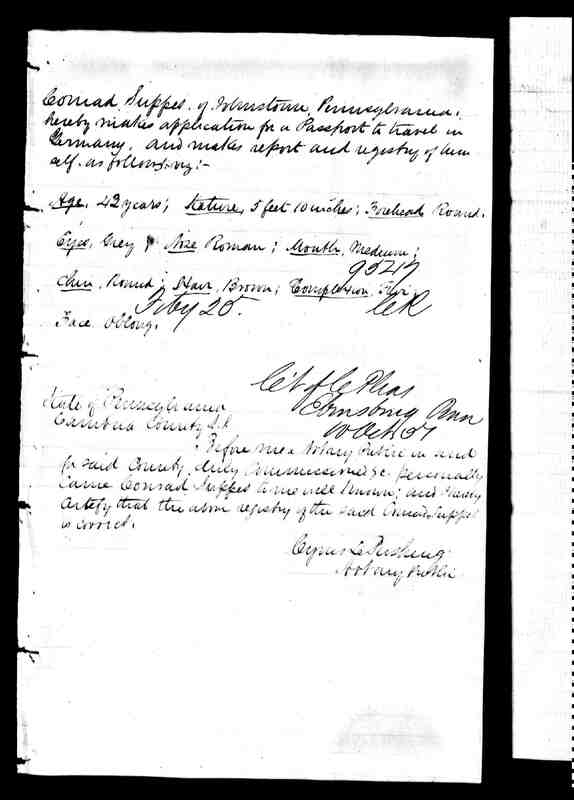 I have a copy from microfilm of the birth registration for August & Caroline Romer Kautz’s first child, Friedrich Carl Franz, born December 23, 1876 in Gatz. August and Caroline and children immigrated to the United States aboard the ship, Weser, arriving in New York on May 10, 1880 from Bremen. As of yet, I am unable to find Augusta’s passage, although my family’s history maintains that she came with her mother. However, since Caroline was 16 years older than she, it is my belief that she actually came with the Kautz family. Reproductions of the ship manifests on Ancestry have portions of illegible text; the bottoms of many of the pages cannot be read, and that is where the recording of her arrival might be. Matthew Kautz, a descendant of August and Caroline, has been in contact with me, providing some information from the records of Zion (German) Lutheran church in Johnstown, Pennsylvania, to which both sides of my mother’s family belonged. Mina Marie Kautz, born of August and Caroline (Remer) March 25, 1881. Godmother was Mina Bartz (Wilhelmina Dorothea); Freda Katherine, born to August and Caroline Kautz, December 24, 1886; Godparents Christian Leopold (Leibold, husband of Augusta Remer), W. Sellnow (husband of Wilhelmina Bartz Sellnow), and G.G. Hofmann. 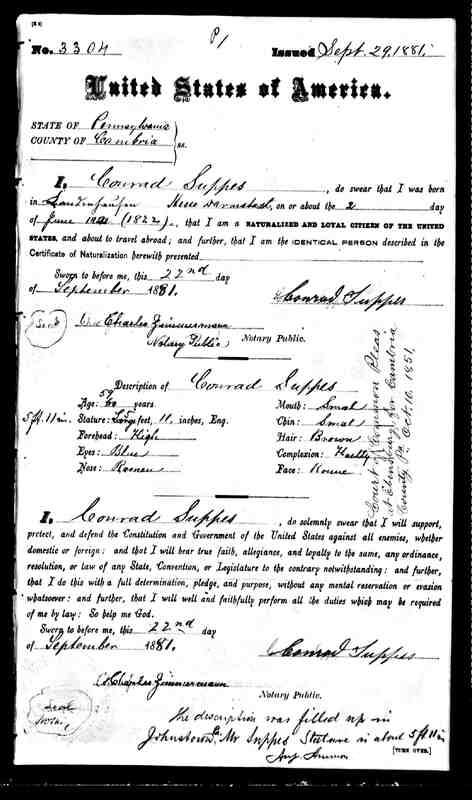 As a side note, Mina’s baptism records state that mother Caroline was from Gatz, Pommern, Christian Kautz’s record (not included in the sent email), stated that his parents were from Altgarlow, Pommern. Caroline, wife of August Kautz, of No. 313 South street, Sixth Ward, was found dead in bed at her home at 6 o’clock yesterday morning. Mrs. Kautz had been enjoying good health and retired at 10 o’clock Saturday night, after being about her home on Saturday. The cause of her demise was heart failure. Mrs. Kautz, was born fifty-one years ago in Germany, where her father, Karl Ramer-still lives. Mrs. Christian Leibold, of the South Side, is her only sister living in this country, while in her native land she has another sister and three brothers. In 1870 the deceased was married in Germany to August Kautz, who came with his wife and several children to this country in 1881. The deceased is survived by her husband and the following children: Frank, married and living at the corner of Union and Vine streets, First Ward; Mary, Frieda, Christian, Albert, and Betha, at home. Frederick Kautz, the eldest son, who had charge of the poolroom at the Merchants Hotel, died in the Fifth Ward a few months ago. The funeral will take place at 2 o’clock to-morrow afternoon from the Kautz home. The Rev. Hugo R. Erdmann, pastor of the German Lutheran Church, of which the deceased was a devoted member, will conduct the obsequies. 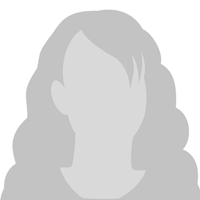 Interment will be made in Grand-View Cemetery. An epidemic of suicide appears to have swept over Cambria County during the past day or so. Within eighteen hours, commencing yesterday afternoon, three persons took their lives—two of them residents of Johnstown, by hanging, and the third, living at Gallitzin, by shooting with a Flobert rifle. One of the victims was past threescore years of age, and one only twenty-two. “Worried to death” was probably the fate of August Kautz, who was found dead, hanging by the neck, in a small abandoned stable at the rear of his dwelling place, No. 313 South Street, this morning about 10:30 o’clock. During practically all of his lifetime of fifty-four years he had been sickly, and for the past three or four months had been a constant sufferer from stomach and heart trouble. Last night Mr. Kautz, who was employed at the steel works, was too ill to go to work. He spent the entire time from dusk to daylight pacing the floor and receiving the ministrations of his children, with whom he lived. About 10 o’clock this morning he stepped outside without telling any one where he was going. He passed the window in the rear of the house on his way to an outside water closet (out house). His son Albert, a lad of about fifteen years of age was watching him pretty closely, and when he did not return as quickly as might have been expected went out to look for him. He did not find him in the closet and went back farther in the lot to the stable, opened the door, and chancing to look up in the haymow, saw his father hanging from a rafter. The boy immediately raised an alarm. The inmates of the Kautz home ran out, and in a short time there was quite a commotion among the neighbors. Dr. Kistler, who was making a professional call at the home of R. F. Rutledge, on Sherman Street, noticed the excitement and was apprised of the fact the Mr. Kautz had hanged himself. He seized a butcher knife, hastened to the scene, and cut the body down while it was still warm. He started artificial respiration in the hope of reviving the man, and was engaged in working on him, when Dr. Conrad, the family physician, who had been called in yesterday to see the head of the house, arrived on his morning rounds. The two physicians worked on the body for almost an hour, but their efforts to restore life were unavailing. Mr. Kautz had apparently formed a deep determination to end what he considered a very troublesome existence. Quite frequently in the presence of Dr. Conrad he had expressed a desire to be dead, and only yesterday, in the presence of his two daughters, Frieda and Bertha, his son Albert, and the doctor, he threatened to kill himself. This threat was not unusual, as there have been other times when Mr. Kautz was despondent and had to be watched in order to prevent his doing himself bodily harm. For a man of his age the place in which he committed suicide could only have been reached after quite a little effort. The stable is divided into two parts, the mow extending over but on of these, the larger of the two. The small room, possibly at one time used as a chicken coop but now filled with loose lumber, etc. has a door about ten feet from the ground, the height of the mow which leads into the loft. A chair was found sitting in the small room, just underneath this door, showing that Mr. Kautz had apparently crawled into the haymow by this route. The rope with which the dead man hanged himself was a light hemp one, probably half an inch thick, originally used by his daughter Bertha as a jumping rope. One end of it was passed around the sloping rafter and tied at a point which would have made a noose hanging in it scarcely more than the height of a man of ordinary stature. The noose in the rope was even lower than it might have been made, and when Mr. Kautz was found he was lying in it, his legs bent and knees almost touching the ground. The features were in no way contorted, a slight even mark around the neck, deepest just beneath the chin, being the only evidence of the manner in which the deceased had come to his death. There has apparently been a great deal of trouble in the Kautz family since Mr. Kautz came to this country twenty-one years ago from Germany. But two years ago his wife Catherine (should be Caroline) was found dead in bed, the victim of heart failure. About three years ago their son Fred, for a number of years attendant at the Merchants’ Hotel poolroom, died suddenly. The remaining children of the family are Frank, of Altoona, Mary, wife of Noah H. Tompkins, of South Street; Christ. (Christian), who boards at the Tompkins’, and Frieda, Berta, and Albert, at home keeping house for their father. No arrangements as to the disposal of the body have yet been made. It lay for quite a while just where it had been cut down, in the haymow, open to the winter’s wind and snow, awaiting the action of the Coroner, who was at Gallitzin on business connected with his office. It is said that Mr. Kautz was a very steady worker, and of a quiet disposition. The Kautz and Suppes families from near the Stolp area in Pomerania, married into the Remer family, as did the Wegner, Bartz, Pantel, Domroese, Damaschke, and Jaffke families. Even my mother didn’t actually know the relationship of the Kautz family to hers (of course her grandmother, Augusta Remer, died in 1916, 10 years before my mom’s birth); there were what we called “kissing cousins” that lived a few blocks from my mom, who were actually first cousins once removed of theirs thru the Kautz/Remer relationship. On May 31, 1889, in Johnstown, Pennsylvania (which sits in a narrow gap between high hills, with a river flowing thru it), a large dam far upstream collapsed from several days of torrential rain, sending a 60 foot high wall of water down thru the town, scouring everything in its path. My great grandmother, Augusta Remer Leibold, living not in the path, but further downstream, fearing for her life, took her children, Rose 5, Anna,2, and my grandmother Lillie age 2 months, a loaf of bread and a knife and climbed the hill behind their house and stayed there for 2 days until the water had gone down enough to return home-their house was still intact and fine. After this flood (not the only one, but the worst of them), an inclined plane was constructed to ferry people up a steep hillside far above potential flooding. Her husband, my great grandfather, Christian Leibold, who worked in the wire mill (everyone just about was employed by the steel mill industry), braided the cable that was part of the pulley system for the incline plane. The Incline Plane is one of the steepest in the world, and you could google it and see what I am talking about. Pretty impressive stuff. 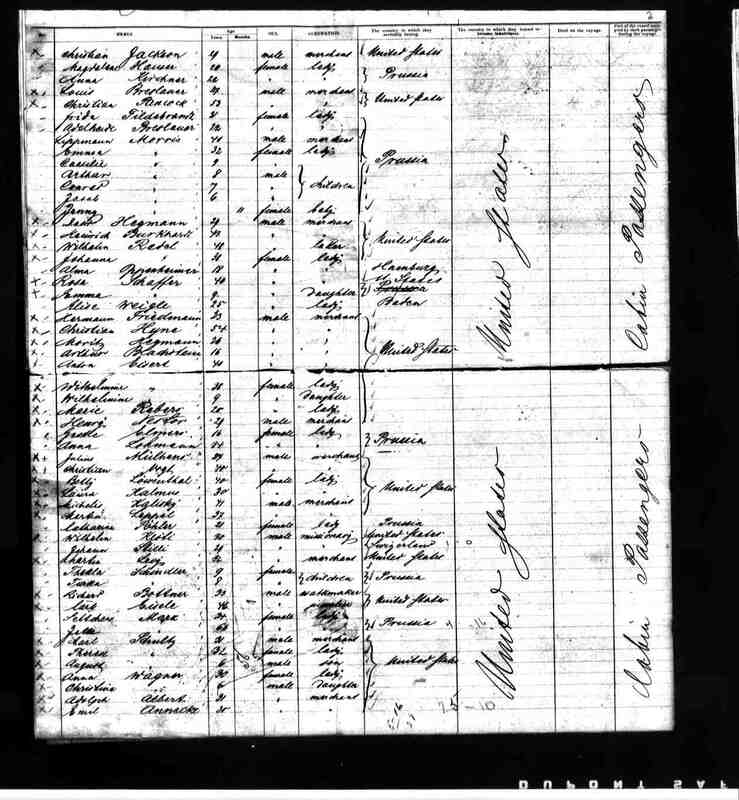 (I know that Augusta’s mother did come to the US at some time, and it was documented in a transcribed death record for her), but I have not been able to find out when-whether she was here for the Johnstown Flood and was also on the hillside or not. Marie Justine Wegner Remer died in 1896, in Pomerania. The author started doing family history about 40 years ago, before the advent of the internet. She is glad to be able to share this information with others, as researching her family has been difficult given where records are located.